The fundamental concept that pervades Vedic cosmology is the relation and dependence that everything has upon the Supreme Personality of Godhead, Sri Krishna; the source of creation, maintenance and dissolution of the manifested worlds. 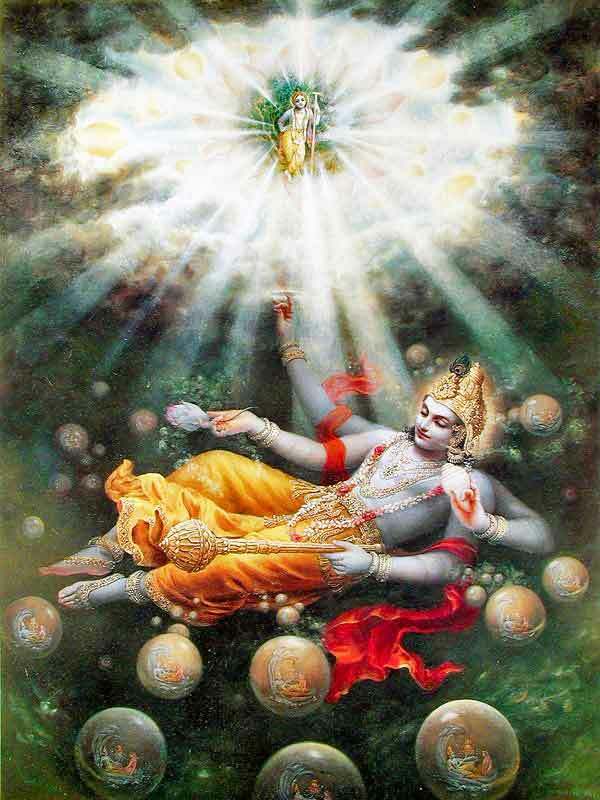 Although Sri Krishna is the ultimate cause of all other causes, His existence is beyond the material energy and He Himself takes no direct part in these activities, but indirectly controls the universe through his delegated expansions and empowered agents in the form of various incarnations and demigods. Pervading the entire science of Vedic cosmology is the understanding that the universe is created and maintained by personal activity. This means that behind all apparently mechanistic laws and events there is one or more persons who enact and administer the laws, and control all universal events. From the Vedas and especially the Vedic cosmology, we can receive information from beyond our sensory plane or awareness, that describes the hierarchy of beings within the universe, leading ultimately to the Supreme Personality of Godhead, Sri Krishna. Most importantly, we get information of how we can successfully interact with the universe to live a peaceful and progressive life in this world, while gradually elevating our consciousness to the spiritual plane. A person in full consciousness of Me, knowing Me to be the ultimate beneficiary of all sacrifices and austerities, the Supreme Lord of all planets and demigods, and the benefactor and well-wisher of all living entities, attains peace from the pangs of material miseries.